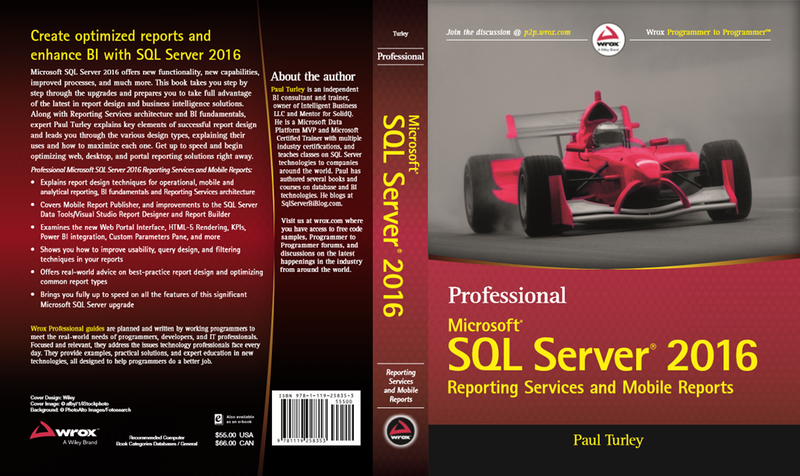 This post is part of the series: “Professional SSRS 2016 Book Preview Posts” which are excerpts for my Wrox Press book: Professional SQL Server 2016 Reporting Services and Mobile Reports. Each of the posts is a condensed version of the material covered in a corresponding chapter from the book. The goal for this posts is to provide useful and meaningful information you can use. For more comprehensive details, I refer readers to the rather lengthy book itself. Note that large portions are copied directly from the book manuscript that may refer to figures and screen capture images that have been removed for brevity. Report design is both a science and an art. It is a science because there are definitely standard and repeatable methods for designing common report types. 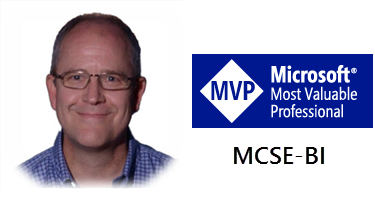 Professional SSRS 2016 Preview: Chapter 2–What’s New in SQL Server 2016 Reporting Services? Posted in BI Projects, Business Analytics, Microsoft BI Platform, SQL Server, SQL Server Pro Magazine, SQL Syndication, SQLServerPedia, SSRS Administration, SSRS Design. A big THANK YOU for all those who attended the Business Analytics Day in Chicago this week. It was a very successful and well-attended event. Thank you to Angie Horel, Jessica Minnie, Wendy Pastrick and Dan English for heading-up a terrific event. We had a packed house for the Mastering Power BI session and a diverse audience across roles and experiences with the tools. I’ve presented several Power BI sessions over the past two years or so and this one has prompted me to share a few thoughts. I think we’ve arrived at a point where these tools (Power BI Desktop, Power Query, Power Pivot nd SSAS Tabular) are already familiar to most people attending sessions. This marks a significant point in the on-going evolution of the Power BI tool set where people are taking it very seriously and the industry has accepted it as a serious solution platform. My approach up to this point has been to deliver one session to students and attendees with various levels of skills and experience, advising them to set their expectations accordingly. With the median skill level on the rise, it is time to start offering classes and sessions at different levels for beginners and more advanced audiences. Power BI already appeals to users across the spectrum of business-centric and IT-centric disciplines. As a platform with features for novice desktop users and advanced solution integrators, Power BI now spans more depth and breadth than any other Microsoft product in my experience. With this realization, I’m expanding my approach for teaching and mentoring by developing training material for different levels and audiences. I’m in the process of developing a three-day Power BI course with beginner and advanced-level options along with some help from other Power BI technology experts.